Recently I entered Delicious Alchemy’s ‘Gluten Free Magic Bake Off’, a competition on Facebook to find a Gluten Free Magic Bake Off Champion. I won week 4 of the competition by entering a Red Velvet Cake I made for my both my sisters and my prize was a huge selection of goodies which I was so excited to try out. 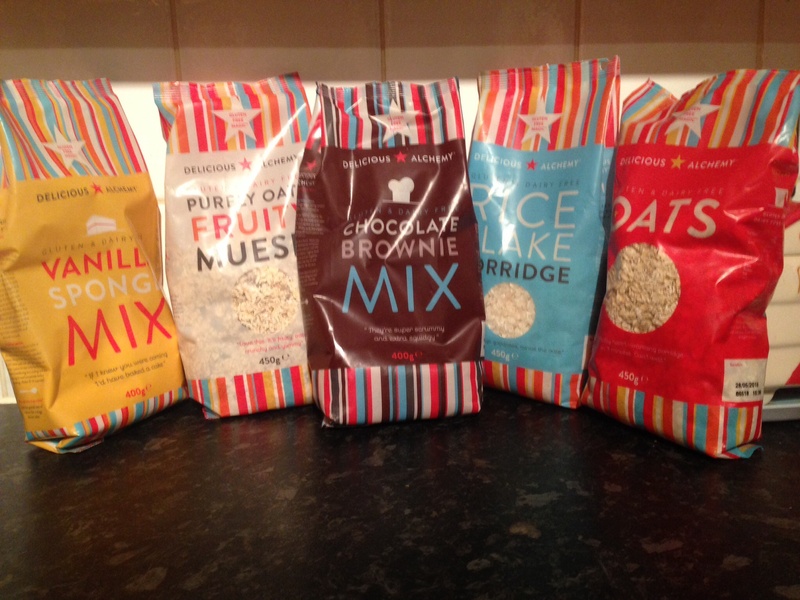 Delicious Alchemy are an award winning company who make Gluten Free Baking Mixes and Bread Mixes, all of which are naturally gluten free and free from artificial flavours. 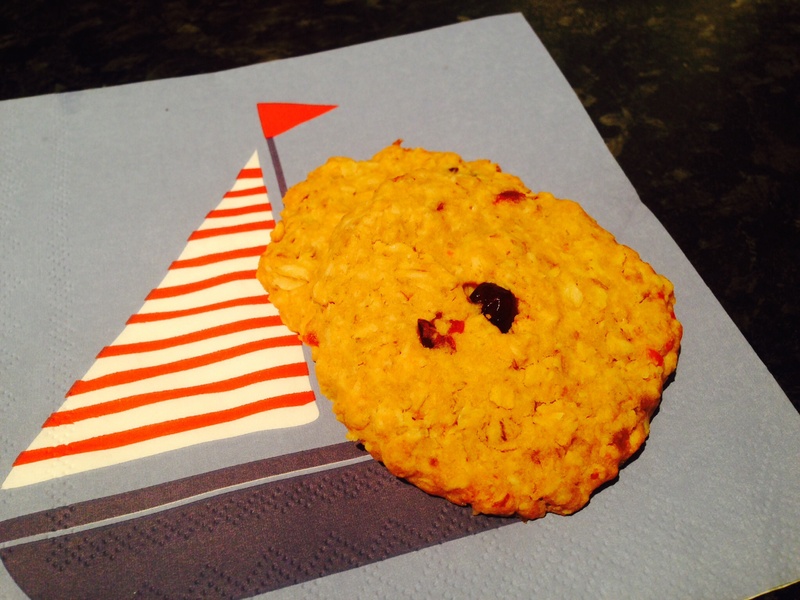 One thing I don’t make a lot of is biscuits and cookies, so the mix I wanted to try the most was the Oaty Cookie Mix. Each packet makes 10 cookies which took just 30 minutes to do. I don’t tend to use a lot of packet mixes, but I think they are handy to have stashed in the cupboard just in case you need something yummy to offer if you have friends popping round at the last minute for a cuppa. The best thing about these cookies is they were super easy to make. Each packet is detailed with very clear step by step instructions so you can’t set a foot wrong which is perfect for baking beginners or those who aren’t so confident baking gluten free. 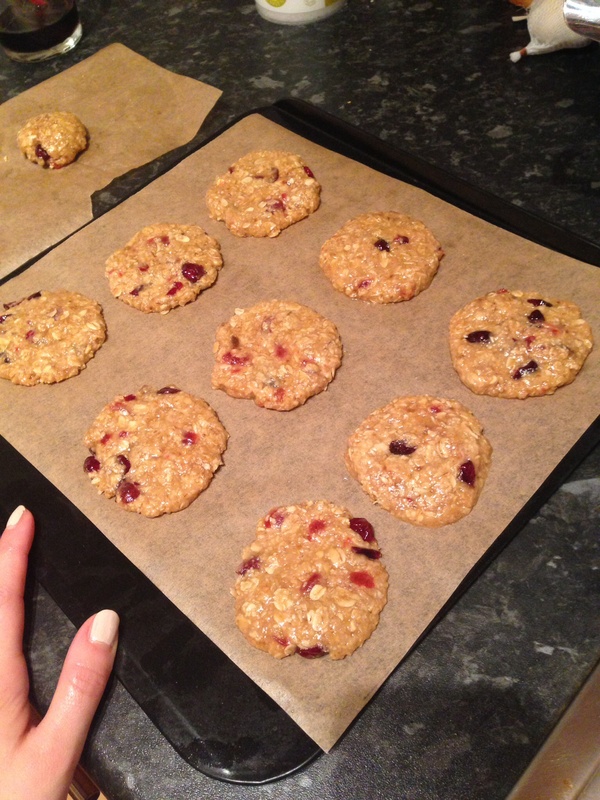 To make the cookies you only require butter (or dairy free alternative) and water, I also added a handful of dried cranberries and glacé cherries to the mix to add a bit of extra flavour, but you could also try adding white chocolate chips which would taste yummy too. 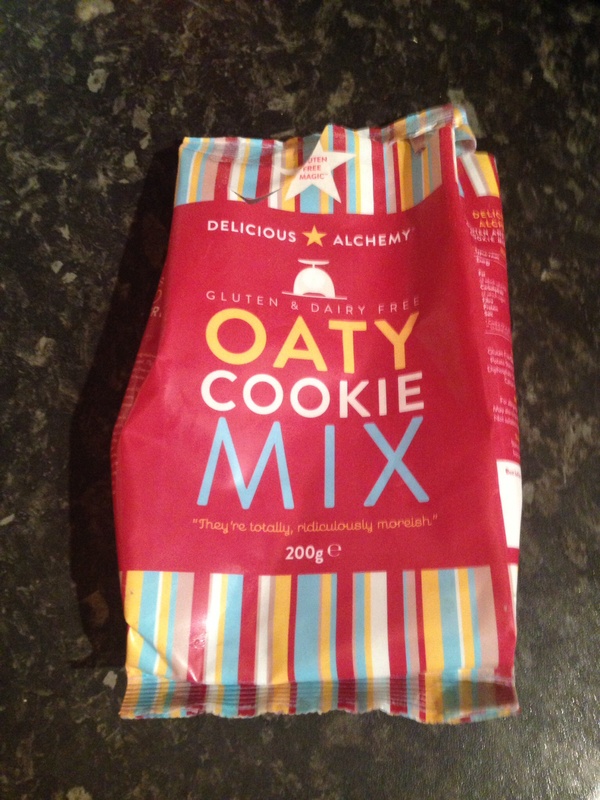 The mix does contain gluten free oats which are not always suitable for coeliacs (so definitely double check you can have them before you make a purchase) however Delicious Alchemy do other mixes without oats in them which are worth checking out. What I was most impressed with was how these tasted so much like normal cookies (something not always easy to achieve when baking gluten free). If you are on a gluten free diet and missing real cookies but prefer home baked goodies over shop bought cookies definitely give these a try. You can check out Delicious Alchemy here and you can follow the Gluten Free Magic Bake Off competition (#GFMBO) on Facebook and Twitter.